Lise McMillan is an independent dance artist based in Manitoba. She performed in Canada and abroad with Winnipeg’s Contemporary Dancers (2007-2014) in works by Sasha Ivanochko, Susie Burpee, Serge Bennathan, Brent Lott, and Rachel Browne. Independent work includes Collective Corps (Freya Olafson), Sinha Danse, NAfro Dance, C. Medina Dance (Austria), Delfos Danza (Mexico) and independent creators Johanna Riley, Alex Elliott, Treasure Waddell, Jaime Black, Kristy Janvier and Tanja Woloshen. Her own choreographic works have been presented by Winnipeg’s Contemporary Dancers and Young Lungs Dance Exchange. and she has produced and commissioned works by Serge Bennathan, Susie Burpee and Lesandra Dodson. Most recently, Lise was an Artist in Residence with Spur Fest 2017, and a choreographer/movement coach for Théâtre Cercle Molière’s productions of Nanabozho et le tambour, A Soldier’s Tale, and De Mere en fille. 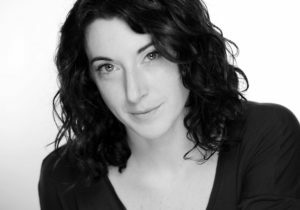 Lise is the co-director of TheDancePost, an organization serving Winnipeg’s dance milieu. She holds her B.A Honours Degree in Dance, and is a graduate of the Professional Program of The School of Contemporary Dancers. Parallel to her dance career, Lise is pursuing her Master’s in Marriage and Family Therapy at the University of Winnipeg. With a great experience of the stage, several shows to his credit, international festivals, professional albums and songs playing on radios from here and elsewhere, sound & musical designs for various cultural and artistic mediums ( dance, theater, etc. ), Robert is a professional artist-musician who continues to innovate and push the limits of his great passion, music. Dean is happy to work on the lighting for Jason Martin’s BEYOND. He lit Jason’s FALLING from last season’s Anything But Absolute Zero production. 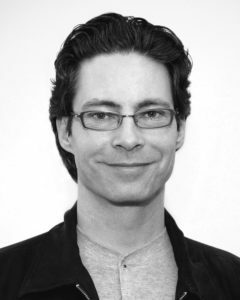 Dean has been the resident lighting designer for Winnipeg’s Contemporary Dancers since 2006. Dean has designed the lighting for various companies in Winnipeg as well as Montreal, Toronto and Ottawa. 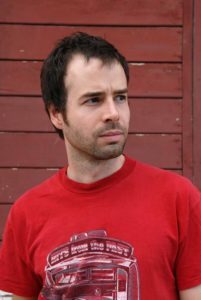 In addition to his lighting design work, he has also designed sets and costumes for various companies in Winnipeg. Dean graduated from the National Theatre School’s Lighting Specialization program in 2004, and from the University of Victoria in 1995 for Set Design. Enjoy the show.